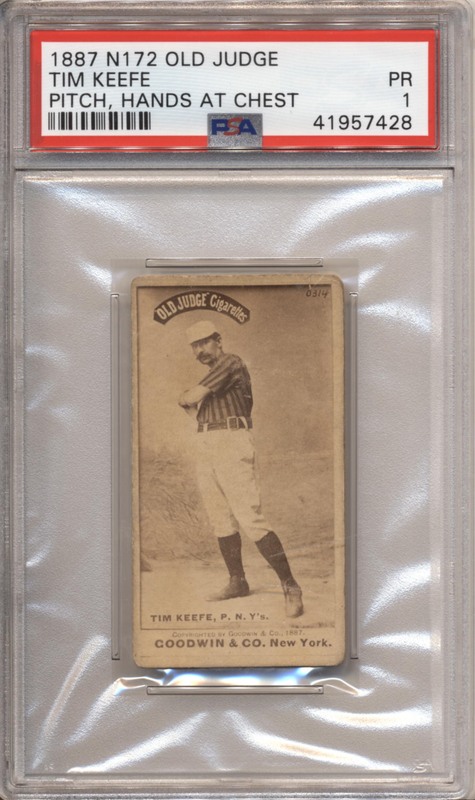 Fine looking Old Judge HOF card, this has a very, very fine image and a great looking front. There are no creases, the front has has slight wear by the upper left corner. The back shows light wear, not bad at all. These are the kind of cards that frustrate many collectors with grading services.